Polytropos, the cultural film house, and Nota Dominante, the TV series, are creating a new important piece for Mexico’s jazz structure. Both are the result of the effort of Luis Felipe Ferra and Valeria Estefan, directors and creatives of this non-for-profit organization. Luis Felipe talked to me about the key elements of their work to develop a jazz culture. “Nota Dominante is a TV series, the objective is to show the jazz scene of Mexico, particularly with the intention of demystifying jazz, which traditionally has been consumed by a select group of people, maybe because of intrinsic causes of the music industry or due to the lack of media vision. Nota Dominante aims to show the Mexican jazz from a more open perspective, a more popular one; not necessarily a massive one, but it tries to cut the distance between the audience and the genre. Is a TV show that not only pretends to showcase the musicians it also wants to portray the key actors that shape the jazz ecology in Mexico: critics, festival organizers, businessmen, broadcasters, filmmakers, photographers, and other professionals. Nota Dominante shows interviews of all of these figures so everybody can understand more about jazz and its difficulties; there are many types of questions. There has been a misunderstanding, people think that our contents won’t be assertive because they have got a commercial “look and feel” but that is totally wrong. Nota Dominante talks about many truths, we asked a lot of uncomfortable questions for the sake of having more information, of what is going on in the scene. In that sense, we created seven flash specific questions: our guests only have to answer yes or no so we can understand much more about what is a jazzman. Why should we talk about the jazz that is happening in Mexico? “I know Mexican identity well enough, I know its limitations economically speaking, and I know where am I from. I am convinced that the Mexican jazz probably has the best musicians of the country working on it. I am sure that Pablo Prieto is one of the best drummers within the country; Alex Mercado is one of the best piano players within the country; Germán Palomares is one of the best promoters within the country. All the people working in the jazz scene is very organized, they have a lot of values, they believe in the dream and even though all the hardships that come with this genre, they manage to go on. Mexican jazz makes me see what I cannot find in the rest of the Mexican society: I find absolute quality. I cannot see that on the politicians, neither in the economic sphere, not even in the other areas of the cultural domain. I know that Gerry López is well prepared, I know that Marisa Canales is one of the most prepared women in the music domain around the world; qualitatively speaking we have a small oasis there. I have seen that Mexican jazz can grow; thanks to the Internet and virtual reality it has possibilities. 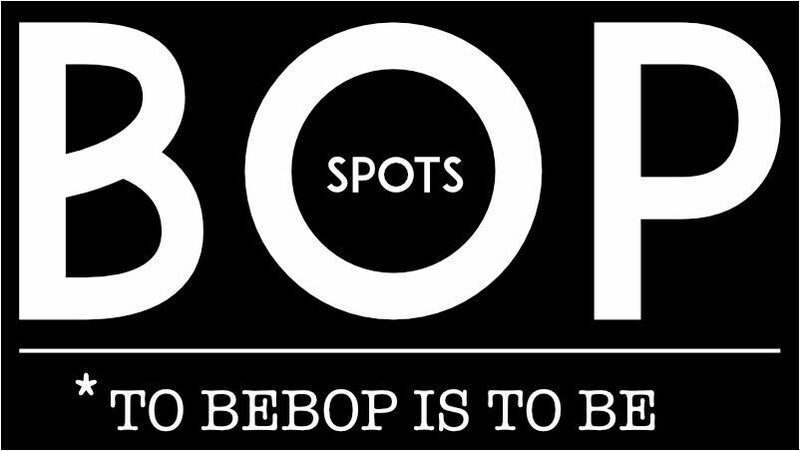 Jazz was a genre that for 60 years in Mexico at least was functioning as a niche; do not consider the time of the big bands, but lets say that from bebop until 2005-2010, jazz functioned as a niche discriminated by media. The democratization and opening of the Internet are an absolute possibility for jazz music. “My function as a director and the creative of these videos is to make jazz appealing. It has to be consumable, as attractive as possible to the wide audience: this is the first objective of me as the creator of Nota Dominante. The last videos respond to the mission and vision of a very concrete project, that has to do with growing the audience size because this has been something missing in the Mexican jazz agenda; which has not been properly approached by the radio, the journalism, the literature or the music itself. Jazz has not incremented its audience even though we have greatest musicians. The audiences have grown from 2010 thanks to the popularization of the Internet tool. From the video “Reflejo de amor”, of the pianist Emmanuel Coss, created by Polytropos. Mexican creativity and jazz: Is there an identity problem? “There is an identity issue in Mexico. Its geographic situation, fortunate and unfortunate at the same time, we are privileged by the immediacy of what happens in the US, but the fact of being so close to that nation sometimes has being negative. We are neighbours of the country that invented jazz nevertheless, historically, there is more jazz in Brazil, Japan, Norway, Argentina… how is that nearness working if we have not found the way to capitalize jazz? The Mexican musicians are finding out that ‘copy-paste’ is not working for the country anymore. In Mexico we are waiting for the US to set the rules. That is worst than “malinchismo”, that is a national pathology. During decades the main rule of rock and roll in Mexico was to make covers! We need to make this genre become international. Currently I am writing about the Long Tail theory, which is very polemic but it helps in a positive way to comprehend what is going on with the Mexican jazz. One of the aspects I talk about is the lack of assertive collectivism by the Mexican jazz community. For long time jazz in Mexico belonged to clans because the niche is so small and the competition is fierce. The jazzmen of the 90’s fought for getting the gigs. The dynamic before Internet was that jazzmen used to earn money by playing with popular artists. As a matter of fact many of them cannot even today commit themselves totally to their own projects. That was very harmful for the jazz scene. In the 70’s, 80’s, and 90’s only few bands had more than three records. There were exceptions like Eugenio Toussaint or Héctor Infanzón. The internalization has to do with being the best of the competition and it is quite difficult that someone could do that while not working in its own project. This did not happen in Cuba, Brazil or France. The internalization is a challenge, possible today, but jazz needs competition and excellence values. Daniel Wong, Magos Herrera, and Antonio Sánchez are fighting their own battle. In Mexico there is not such a musical expression as Latin jazz, which was born as part of a whole community, Cuban influence, is a collective, there are no individual examples or exceptions. It is a cultural film house. It is not only about cinema and it is not only about the Mexican jazz. We understand the different areas of culture, we are focused on helping new artists or niche artists so they can become visible, achieve impact. Our services come from making a music video to create a strategic plan for the artist. In between we elaborate brochures, press kits, graphic design, logos, the artistic identity and the artistic concept, sound design, texts, translations English-Spanish, marketing, and apps. As a good intermediary we help to introduce themselves with more certainty in the entertainment field. But our proposal is to work with artists who have cultural approaches.